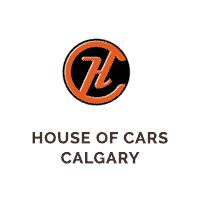 House Of Cars is here to provide you with the answers to our most frequently asked questions. We understand that purchasing a vehicle can be an overwhelming experience for some. Our job is to make the buying process as quick and easy as possible for you by providing you with some answers to our most frequently asked questions. What’s so special about House of Cars? Whether you have good credit, poor credit or no credit at all, we’re able to find you the best vehicle tailored to your needs based on your current financial situation. Whatever your financial situation, don’t be ashamed, we’ve seen it all. Whether you’ve been through bankruptcy, are a student, new to Canada or self-employed, we’ll work hard to find the perfect solution for you. Why not other used car dealerships? We understand that not everyone has the best credit history and we pride ourselves in our ability to genuinely help those individuals out via our Credit Rebuilding Program. We cater to all car buyers, not just “sub-prime”. We carry anything from a reliable Toyota Camry to a swanky Audi R8! Rest assured, if we don’t have what you’re looking for, we will help you locate what you’re looking for. We are keen on our customer service which is why we’ve been winning awards such as “Top Used Car Dealership of 2016” from Alberta’s most reputable organizations. What types of adaptive equipment can I obtain reimbursement for? Yes, we accept all trades at fair market price. The price will be determined once we appraise your vehicle and determine what your current vehicle is worth. Yes! House Of Cars offers a comprehensive warranty to all of our customers. Yes! All of our vehicles come with a Carproof and a full mechanical fitness inspection. The best way to rebuild credit is to get yourself an installment loan. Some effective ways are through financing a vehicle or paying off a credit card. The key is to make your payments on time (this goes for phone and utility bills, as well). By being responsible with an installment loan on a vehicle, the credit bureau will keep track of your efforts and it will prove to the banks that you are trustworthy for future loans. Keep in mind, it takes both time and patience. Make a point to pay your bills on time, and you’ll quickly re-establish your credit. What is your credit rebuilding program? House Of Cars created a program that offers great advice to our customers on how to rebuild their credit through an auto loan. Our program allows an easy & effective way for customers to combine all of their existing debt into one easy monthly payment. I’ve been declined elsewhere. Can I still get approved for financing? Of course! House Of Cars Inc has an incredibly high rate of approvals, even if you’ve been declined before. The process is quick, easy and hassle-free; just fill out our 30 second online credit application and leave the rest to us! Your information is strictly confidential and will never be shared with third-party companies. Once we get the approval from our lenders, we’ll work our magic and find the perfect vehicle fit for you. From the time you fill out an application, we’ll get the process started within just a few short hours. In the best circumstances, we can even have you driving away in your new vehicle within just 24-48 hours! It’s really that easy. Can I purchase a vehicle if I live out of province? Yes! In fact, we have many buyers from out-of-province. We can either arrange to have the vehicle shipped to you or you can come drive it home yourself! Are you licensed with AMVIC? Yes, House Of Cars Inc. is an AMVIC licensed auto retail dealer. We are an industry leader in maintaining a transparent and compliant business that plays by all of the rules & regulations.